Today is Valentine’s Day! How many of you are still un-prepared? Raise your hands. It’s ok, you don’t need to hide. I’m sure there are a lot more of you than you realize. My dad famously ran to the grocery store one year and bought my mom a blow dryer because he forgot. So, it could be worse. (TIP: Don’t buy your significant other a blow dryer. It did not go over well). And don’t worry…I’ve got something that can help to add a fun little touch to an existing gift you already have or to make your Valentine’s day table pop that much more. 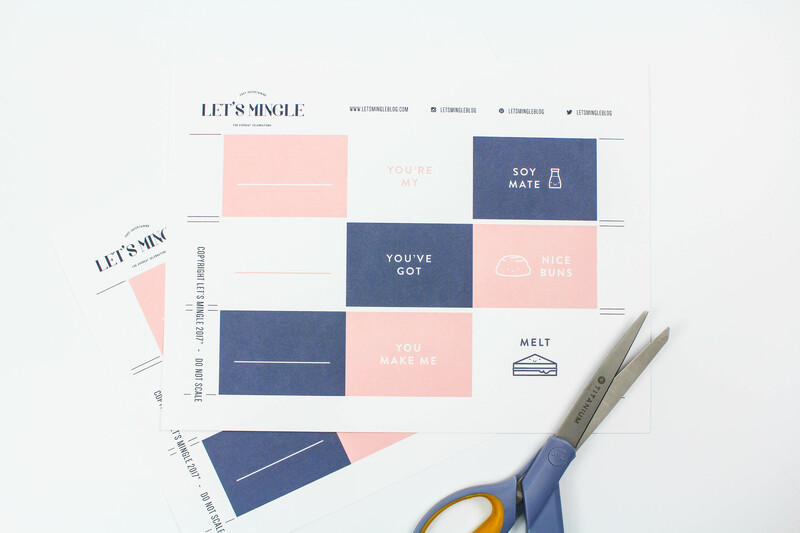 Plus, it doesn’t get much easier than these printable Valentine fold out cards! 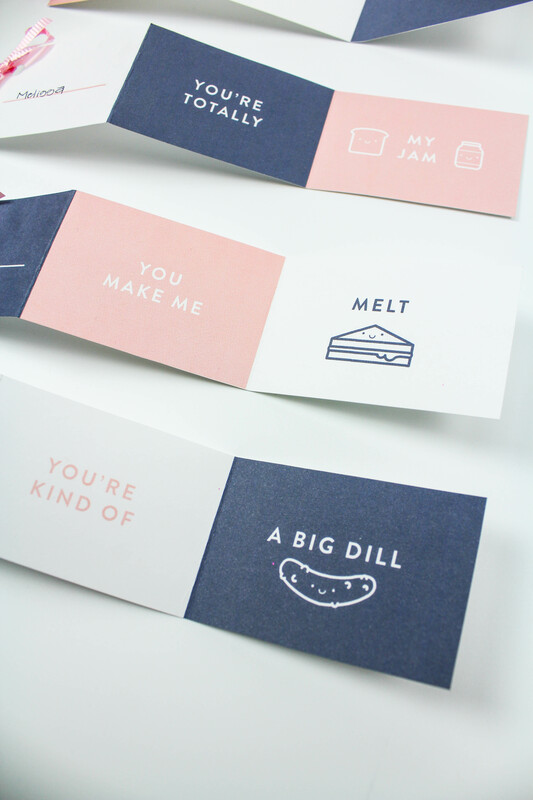 Not only are they easy, but they involve food puns. Yep, FOOD puns. Pretty much my favorite thing ever. I mean, I’d probably be happy with just the card, if I was gifted one of these little guys. They are just too cute! 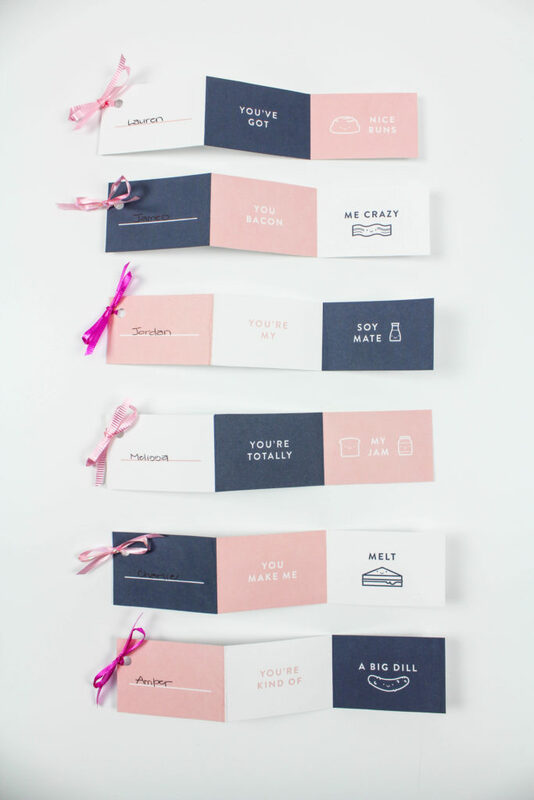 These Valentine fold out cards have endless possibilities. Not only would they make adorable gift tags to attach onto your Valentine’s Day gifts, but they also make really fun placecards for a Valentine’s Day dinner, brunch, or galentine’s day celebration too! 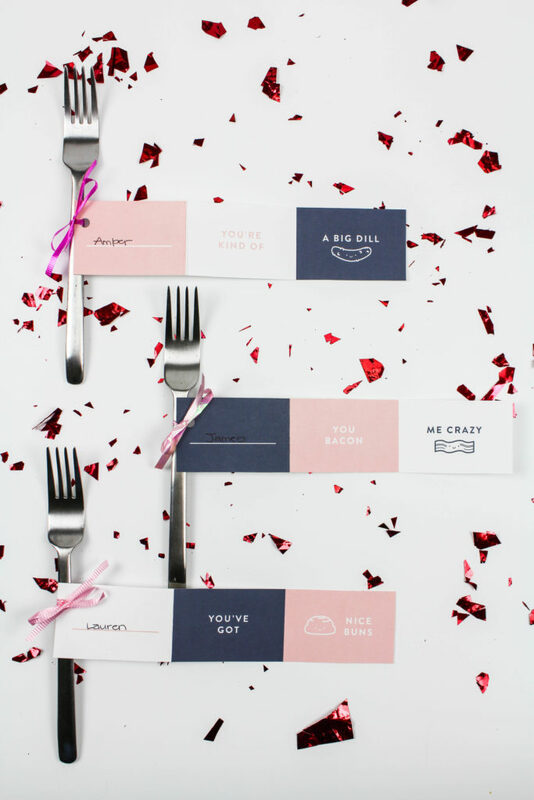 And because all they require is a printer and some scissors, you still have time to add them to your tablescape this year! Win/win! Obviously, this DIY is super simple. 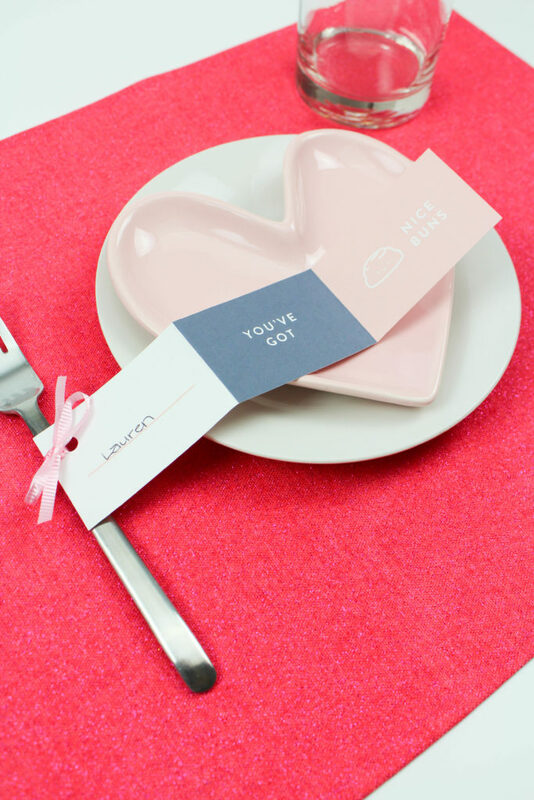 All you need to do is download and print the printable valentine fold out cards file. 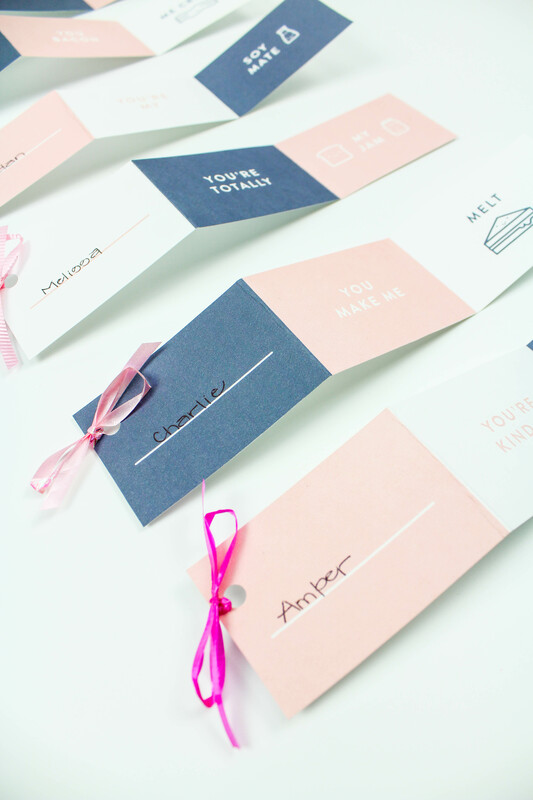 Cut each of the cards out using a pair of scissors or a paper cutting machine. Fold the card on each new colored section to create an “accordion”. Hole punch the top left corner of each card. 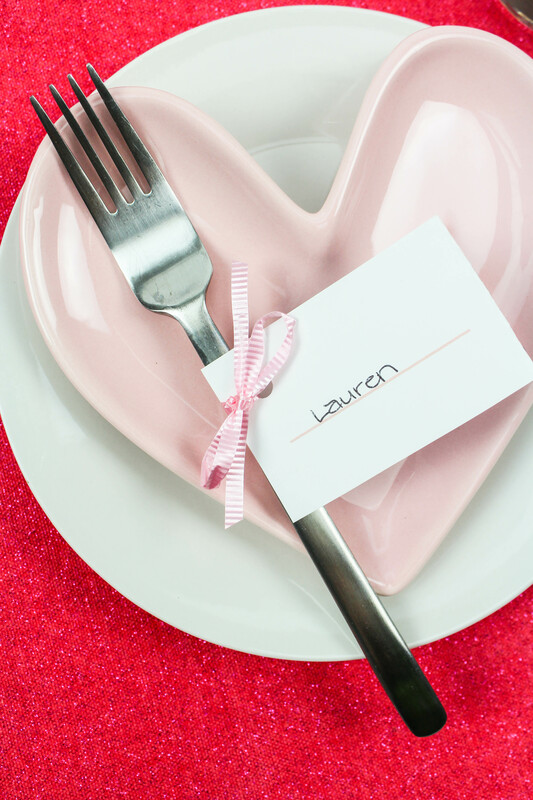 Write in a name on the front of the card and then attach them to a gift or utensils on your table using ribbon. How can you really go wrong with clever and flattering food puns? Yep, exactly. You can’t! They could also make really cute Valentine’s day cards for friends at school or at the office too! (Can you tell I’m obsessed with them and am trying to incorporate them in any way I can think of. I’m ok with it. I’ve accepted it). 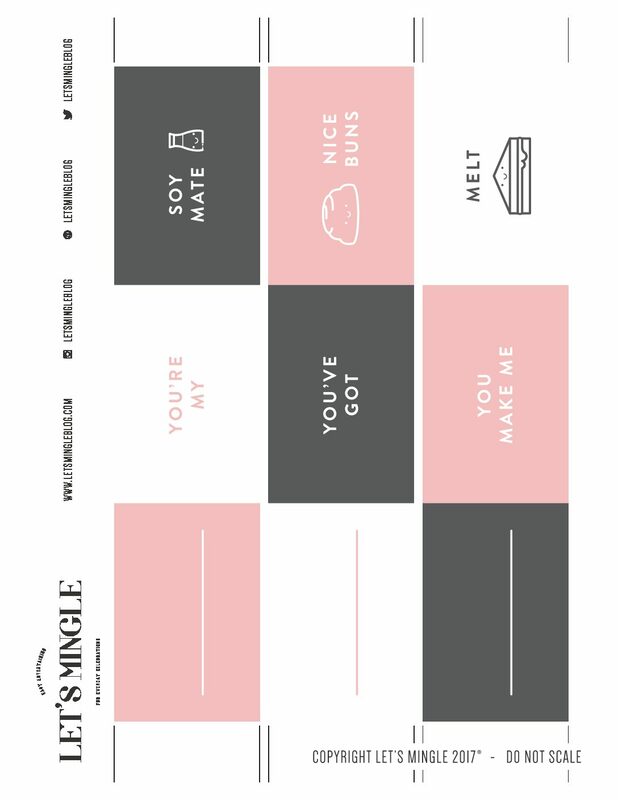 Which one is your favorite and how do you plan on using these adorable valentine fold out cards for your celebrating this year?